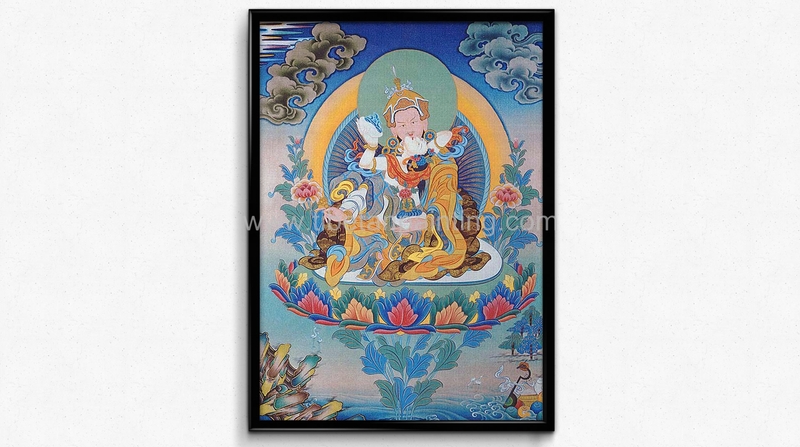 Guru Rinpoche is the great Indian tantric master, also known as Padmasambhava, The Lotus Born, who brought the Buddhist teachings of the secret mantra path to Tibet in the Eighth Century. Born from the Lotus of compassion and revered as the Second Buddha, he entered this world to enlighten all beings. The position of the vajra in his right hand identifies this form of Padmasambhava as the Guru who overpowers all apparent phenomena and the whole of existence.